It has the stellar reputation of the manufacturer behind it. 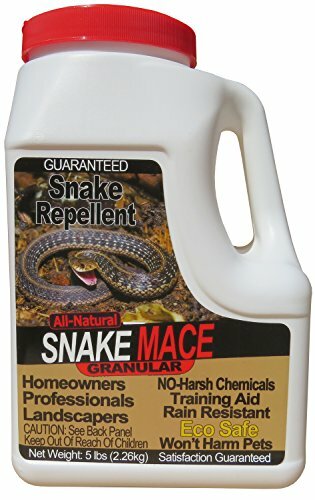 It repels but doesn’t kill snakes. It is safe when used as directed. You can use it in your garden under certain conditions. A persistent application schedule is essential to repel snakes successfully. 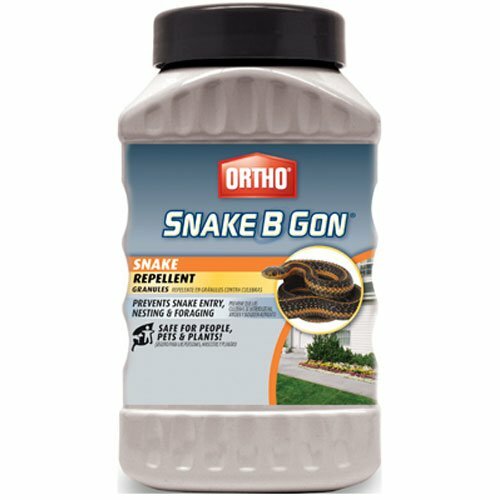 Ortho Snake B Gon is a repellent that offers a humane and safe way to deal with a reptile issue. It is non-toxic if you use it as intended. It makes the job of pest control easier and less unpleasant with a product that doesn’t have an offensive or harsh chemical odor. It’s versatile for use all around your yard and garden. The manufacturer specializes in pest control with a broad range for products for managing insects to weeds to nuisance animals like snakes. It doesn’t contain any pesticides but instead relies on a proprietary blend of aromatic essential oils like clove and peppermint to do the job. Nevertheless, it is an EPA-approved product for use as described. 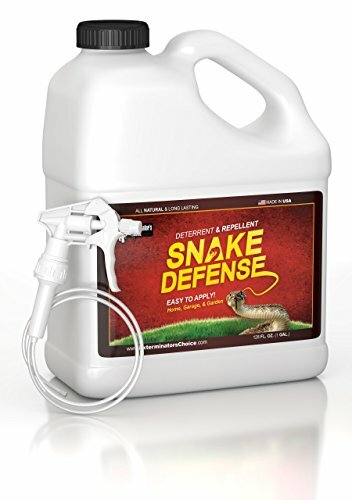 Ortho Snake B Gon is an easy-to-apply repellent without the hassles of using a product with pesticides as the active ingredients. It has a convenient shaker top that makes spreading it simple to put it where you need it. It is EPA-registered which gives you an indication of its efficacy and usefulness. The value of it lies with the fact that it will prevent snakes from taking up residence in your yard. It stops a problem in its tracks before it gets out of hand. However, it’s essential to follow the manufacturer’s recommendations about subsequent applications. You may need to follow up more often after heavy rains. One of the disadvantages of using some repellents is the objectionable smells that make them unpleasant to use—and for everyone downwind of it. The ingredient list reads like a spa product label with cinnamon and peppermint essential oils. It also makes it more agreeable to use near your home—and more discreet. 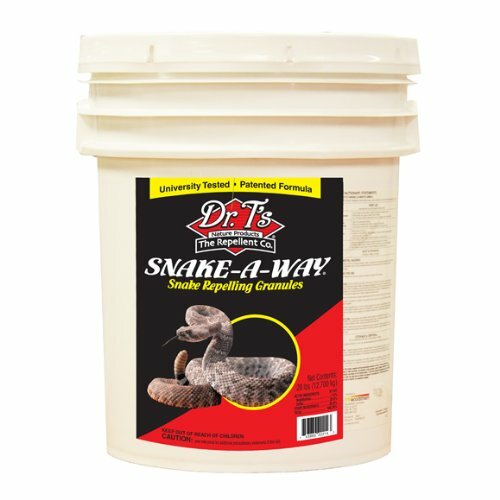 A single application can last up to 30 days, providing continuous protection against snakes. Unlike some repellents, it has staying power and is weather-resistant. A single application can last up to 30 days, providing continuous protection against snakes. That makes it an even better value for a product that is already an affordable solution. It’s ready to use without having to mix it before applying. While you may not invite snakes to your yard, using Ortho Snake B Gon allows you to manage the problem without killing them. After all, they offer some benefits too, especially since not all reptiles are venomous. You may even find that the essential oils deter other pests including rodents which are common prey of these predators. It is classified as a “Minimum Risk Pesticide” by the EPA with “no critical hazards.” The cautions for using it are common sense things such as wearing gloves while you apply it and keeping it out of the reach of children. We’d recommend washing your hands too. While the label doesn’t state it, we’d also suggest not dispensing it near waterways. Ortho stands behind its products with a satisfaction guarantee. If it doesn’t work for you, you can get a full refund when you mail your proof of purchase to the manufacturer. Be sure to save your receipt until you find out if it performs as needed and described. You’ll have your best results if you apply it as soon as you’ve seen the snakes before they’ve had a chance to reproduce. It handles up to 1,440 square feet. You can use it in your garden even around food plants as long as you avoid applying it to any above ground plant structures. Otherwise, it’s safe to use all around your yard wherever you’ve seen activity. You’ll have your best results if you apply it as soon as you’ve seen the snakes before they’ve had a chance to reproduce. We used the product as indicated on the label. It was easy to use and didn’t clump at all. The instructions were clear and straightforward which we would expect from an industry leader like Ortho. It was simple to apply at the ground level of the plants in the yard. The scent is nice yet light. The container has a good hand feel to it too. It’s safe to use if you have pets or children in your home which scored high marks with us. It doesn’t have the laundry list of cautions like you’d see with products that contain pesticides. A look at the material safety data sheet reveals as much. You can have the peace of mind of using a product that is safer than many available ones. The repellent deterred snakes with the initial application. However, some reptiles weren’t fazed by it which may necessitate something stronger with certain pests. Overall, it’s a decent value especially since it may work on other species such as rodents too. That means that it does double-duty to ward off the predators and their prey with one product.